This post is brought to you by DiaResQ and The Motherhood. All opinions are my own. As a family travel blogger, I’ve brought my family hither, thither, and yon over the last few years. One thing I’ve learned when traveling with kids is to bring along our entire medicine cabinet and at least 15 essential oils. I’ll make room in the suitcase! Why? The old adage goes, “Better to have it an not need it, than to need it and not have it” and I’ve found we almost always need it for someone. Travel gets children off schedule and exposed to new germs. Plus, if your child suffers from motion sickness or travel anxiety, those additional aspects comes into play. 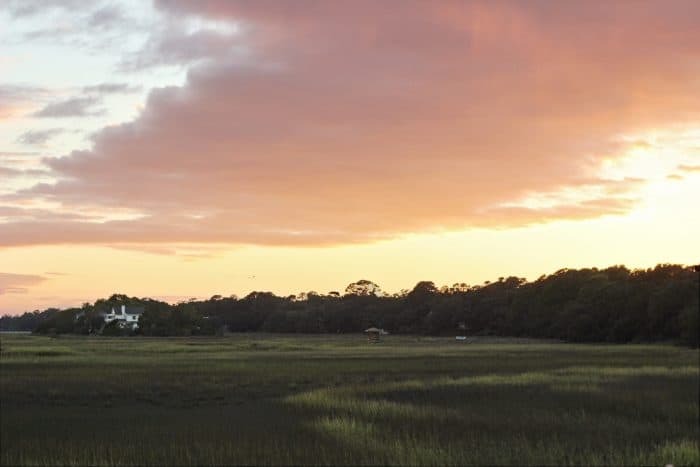 I’ll never forget checking out of our Hilton Head Island hotel and driving to Jekyll Island for the next leg of our trip. Gus vomited not 2 miles down the road. All over his lovey. All over his car seat. All over himself. Goodbye, beautiful Hilton Head Island. Hello stomach virus. Even if your family doesn’t travel as much as we do, you may find yourself on the road for the upcoming holidays. Holiday memories can often contain some not-so-magical moments, like that time your child ended up with explosive diarrhea 100 miles from the privacy of your own bathroom. No one wants to spend the holidays in misery! With this in mind, I’m always on the lookout for how to stop diarrhea in children and help get their bodies back under control. Sticking to a healthy diet is a good way to prevent diarrhea. Eating foods high in prebiotic fiber (such as onions and bananas), taking a probiotic, and avoiding caffeine are all good dietary suggestions for avoiding diarrhea if you’re prone to it. Once, Gus became ill on our Thanksgiving road trip because we weren’t monitoring his cheese curl consumption from the front seat! Mom fail. Avoiding stress can help reduce the occurrence of diarrhea, especially if your children have a nervous tummy. DiaResQ is different- it works with your body to address the underlying issue fast. When it comes right down to it, diarrhea is the body’s natural immune response to try to remove an invading microorganism, and most other products work by slowing that response (and trapping that organism in your body). I’ve tried some over the counter meds, which sometimes help, but often aren’t very effective. Some anti-diarrheal medications also aren’t safe for children, so keep that in mind when choosing treatment. DiaResQ is actually not a medication. It’s a food made from safe, naturally-derived ingredients, and contains nutrients that help support your intestines’ normal functions. It contains no drugs, gluten, or artificial colors, which means that DiaResQ is safe for adults and children as young as one year of age. DiaResQ has been clinically demonstrated to resolve most cases of diarrhea on day 1 of use. That’s pretty fast! It has a great vanilla flavor, too, and is easy to give. You just pour one packet of DiaResQ powder into 30mL of water and shake it up. They even provide the cup and lid in the box! I haven’t needed DiaResQ yet, but I’ll definitely be adding it to the suitcase for our Thanksgiving trip. Visit diaresq.com/momapproved to learn more and keep your child happy and healthy. DiaResQ is not intended for the relief of chronic diarrhea, nor for infants (children aged 12 months or less).